Manikarnika: The Queen of Jhansi is expected to witness an upward trend in the third weekend of its release. 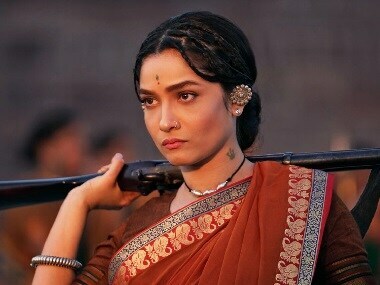 Ankita Lokhande made her Bollywood debut with Kangana Ranaut's Manikarnika: The Queen of Jhansi, where she played Jhalkari Bai, an army commander. Ankita Lokhande talks about her plunge from Pavitra Rishta to Manikarnika, and why she did not consult Ekta Kapoor before her Bollywood debut. Costume designer Neeta Lulla opens up about the extensive research that went into making Kangana Ranaut look her part in Manikarnika: The Queen Of Jhansi. Katrina Kaif shared a video of herself rehearsing for Zero's song ' Husn Parcham'; Genelia D'Souza wished husband Riteish Deshmukh on his 40th birthday. Manikarnika has Kangana Ranaut in the lead along with Jisshu Sengupta and Atul Kulkarni in supporting roles.